ST. PETERSBURG, Russia (AP) — Lionel Messi and Argentina finally got things going at the World Cup. 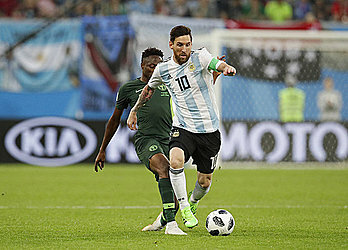 Messi scored an exquisite 14th-minute goal to give the two-time champions the lead in a must-win game against Nigeria on Tuesday, but it wasn't until Marcos Rojo's 86th-minute strike that Argentina was assured of a place in the round of 16 with a 2-1 victory. Argentina will play France in the last 16 in Kazan on Saturday, keeping alive Messi's quest for a first world title. He might have retired from international soccer for a second time — and for good this time — if it wasn't for Rojo's goal. Messi's teammates poured off the bench to celebrate with him after the final whistle, forming a circle around him. Messi exchanged a long hug with teammate Javier Mascherano, who clinched him tightly. Messi's name adorned the back of most of the Argentina jerseys that dominated St. Petersburg ahead of the game, and received the biggest roar when the teams were read out. Messi's 65th international goal owed as much to Ever Banega's long, driven pass over the defense as the forward's exquisite control on his left thigh, another touch with his left foot, and then a cool right-footed finish into the corner. As Messi fell to his knees and pointed his fingers upward in celebration before being mobbed by teammates, Argentina great Diego Maradona — sitting in a corporate box inside the stadium — placed him arms on opposite shoulders and looked to the sky. Messi, who later hit the post off a free kick, and the recalled Banega ran the game in the first half for Argentina. The team's biggest problems arose whenever Mascherano lost possession in front of his own defense. 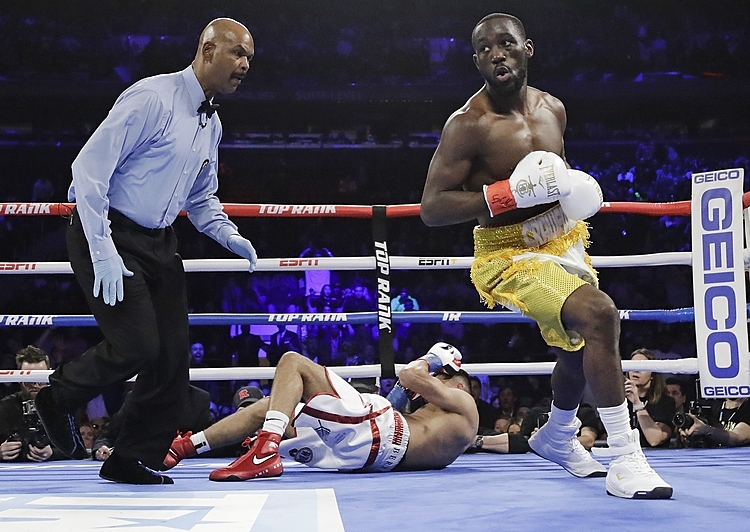 Nigeria was minutes away from advancing to the knockout round of a World Cup for the fourth time. As it finished, the African nation ended up third in the group — a point behind Argentina.